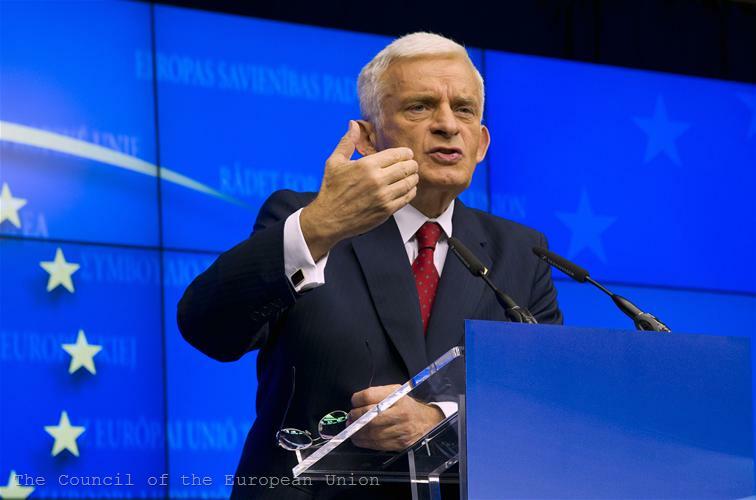 European Parliament President Jerzy Buzek made a strong appeal to the European leaders to take the necessary decisions to address the crisis but together with the European Parliament. He clearly declared himself for treaty changes, aimed at strengthening the economic union, but without dividing Europe into two speeds. In his address to the European Council Jerzy Buzek bluntly asked Parliament to be given a role in terms of the eurozone rescue fund EFSF. He made the same appeal to the European Council last June, shortly after the fund was created. Now Mr Buzek was even more categorical: "We are the Parliament of the eurozone as well as the EU as a whole. We would like a similar relationship with the EFSF as we have with the European Central Bank. The ECB's fierce independence and its accountability to the European Parliament are two sides of the same coin. In our work we should always try and find solutions which unite us and not divide us." He sent the same message also in terms of the economic governance of the euro area, where, according to Buzek, "involving both "Community institutions" - the European Commission and the European Parliament is absolutely necessary." The European Commission, under the democratic scrutiny of the Parliament should be the government of the euro area, the President of the EP told reporters in Brussels. In the long run, he unequivocally supported the need of treaty changes specifically related to economic governance and the economic union. "I do not think there is an urgent need to propose treaty changes, because people are tired from the crisis, they are afraid of losing their work or their money in the banks, so we should be more delicate. 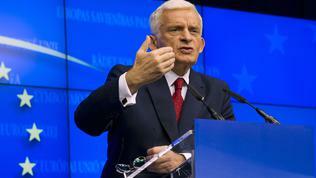 But we need to start discussing this issue", Jerzy Buzek said. According to him, a "European civic space" should be created, where these discussions to be held so that citizens can be involved in decision making. We have to explain to the citizens why we need to be more united and why these changes are necessary, the EP President argued, noting that now the atmosphere is not very suitable for such changes. "In most countries, except mine [Poland] probably, which is a special case and it will be easier, but in most countries it would be very difficult", Buzek said. And he is probably right because the fierceness with which the Poles assert the unity of the European Union is impressive. A few days ago at a briefing of Polish Prime Minister Donald Tusk most of the questions of Polish journalists were actually connected with the future governance of the eurozone and their fears that it might create a the two-speed Europe. The EP President too angrily defended the European unity giving Schengen as an example, where we were still “slightly divided” because two countries [Bulgaria and Romania] were still outside the common border area. Therefore, the governance of the euro area should not be at the intergovernmental level and should involve all institutions and democratic control, EP President Jerzy Buzek repeatedly stressed.